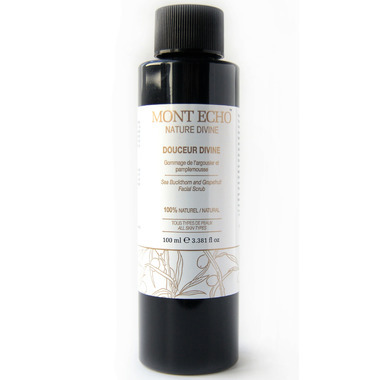 A gentle, highly effective scrub formulated with Mont Echo;s signature anti-aging ingredients. The synergy of Sea Buckthorn, Grapefruit and Jojoba beads leave your skin beautiful, radiant and free of dead cells. Chamomile, Marine Algae, and Rosebuds will soothe your skin making it a perfect scrub even for very sensitive skin.